The school year ended late November, and the vacation session of the Club de Artesanas (CdA) began the first week in December. 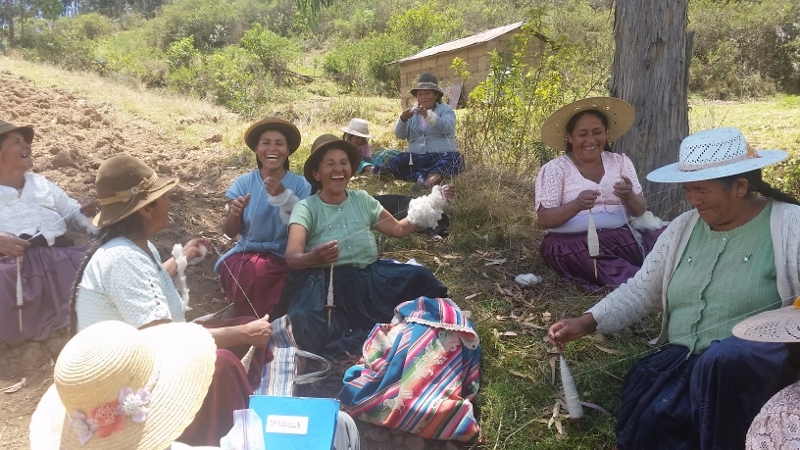 The women members had scattered to their farms, so we invited the teens who weave and 3 ten to twelve year olds to join. The only new members who showed up were Joel’s 2 older sisters, and he tagged along. 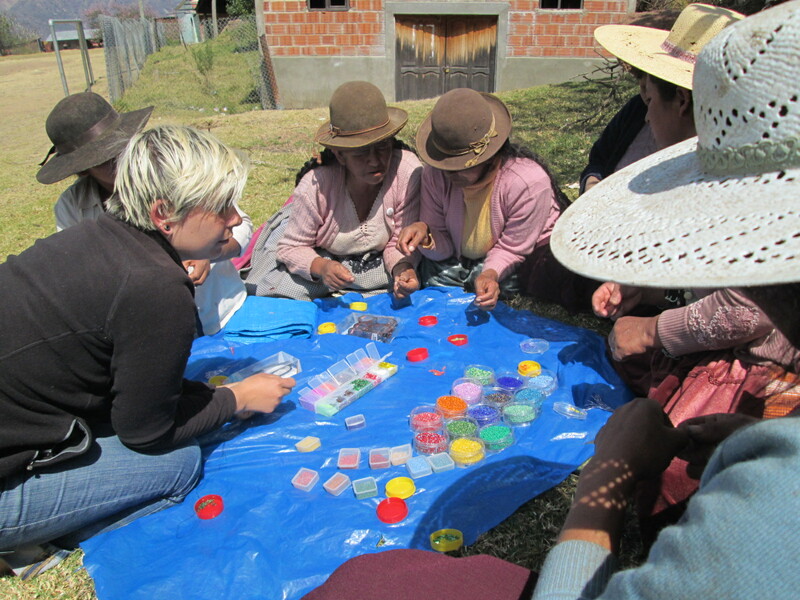 The count for the first session was Doña Máxima, the CdA trainer, 1 woman, 1 teen, 2 pre-teens, and 9 kids. Art projects, puzzles, and blocks kept the kids busy. The pre-teens will spend the mornings in my baking class to provide the morning snack. 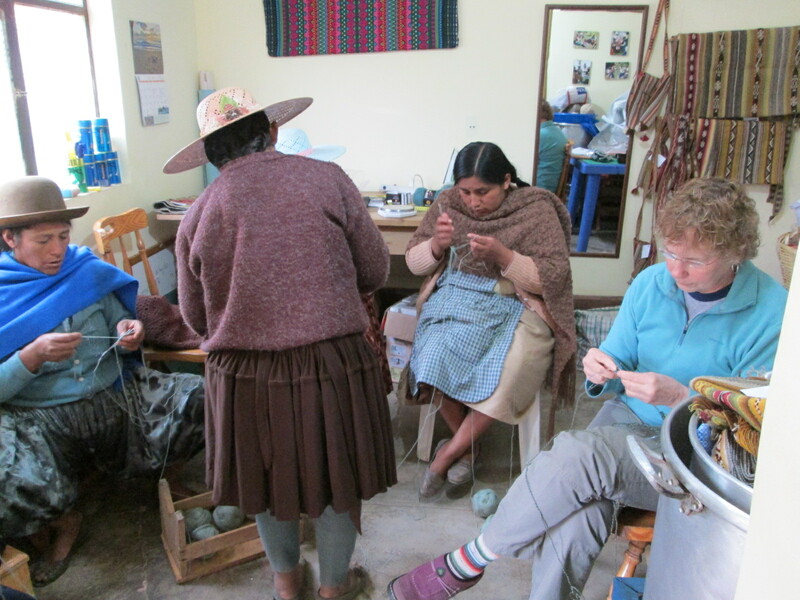 Doña Máxima will alternate weaving classes with jewelry making classes. Christmas cookie baking will involve 2 full days of baking classes and involve all but the youngest. Gabriela, an original CdA member from 2010, was the only teen to show up. She came to warp a weaving that PAZA will buy to make belts or a yoga mat strap. The opportunity to earn money was the motivating factor for her appearance. Although she sold weavings in the past, she hasn’t produced any in over a year. 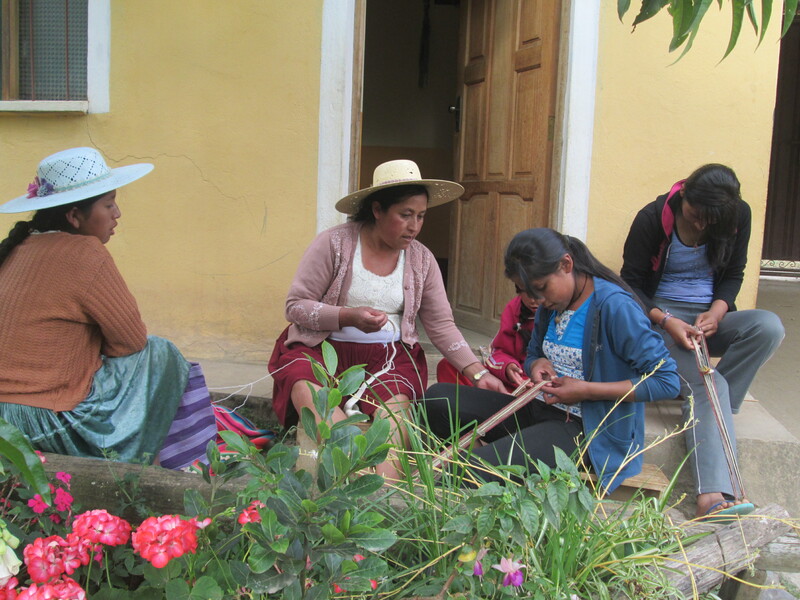 She brought 2 poles to tie crosswise to the PAZA rustic loom (2 notched poles), so after warping the weaving with Doña Máxima she could roll it up and carry it home to weave on her mother´s loom. 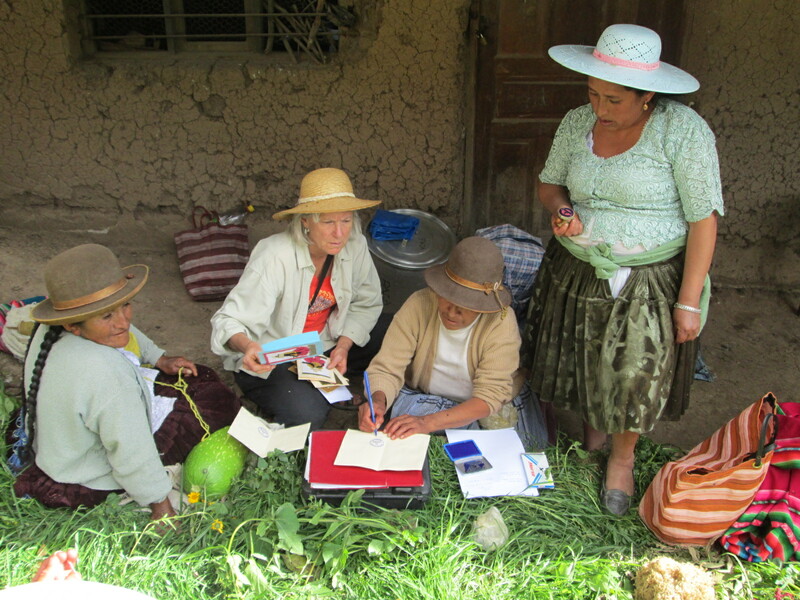 Doña Máxima warped a small strap so the 2 new pre-teen members could begin learning figures. 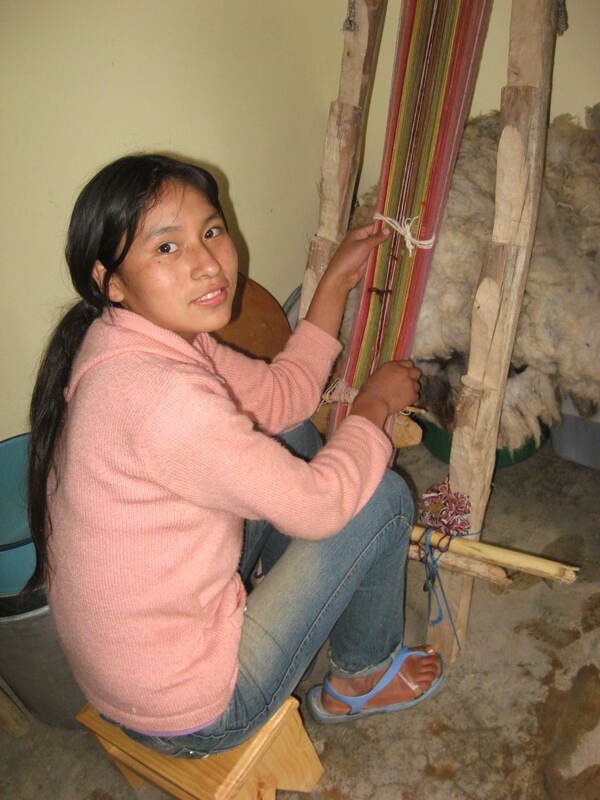 She warped a more complicated strap to teach Gaby new designs she can use in her weaving. The only 2014 fair we will participate in will be 3 hours of sales at the U.S. Embassy in La Paz on December 10th. PAZA began preparing 3 months ago by handing out weaving orders that once completed were paired with leather for wallets, belts, and shoulder bags. A few traditional items will be displayed for sell, but they have not sold well at the La Paz fairs in the past. 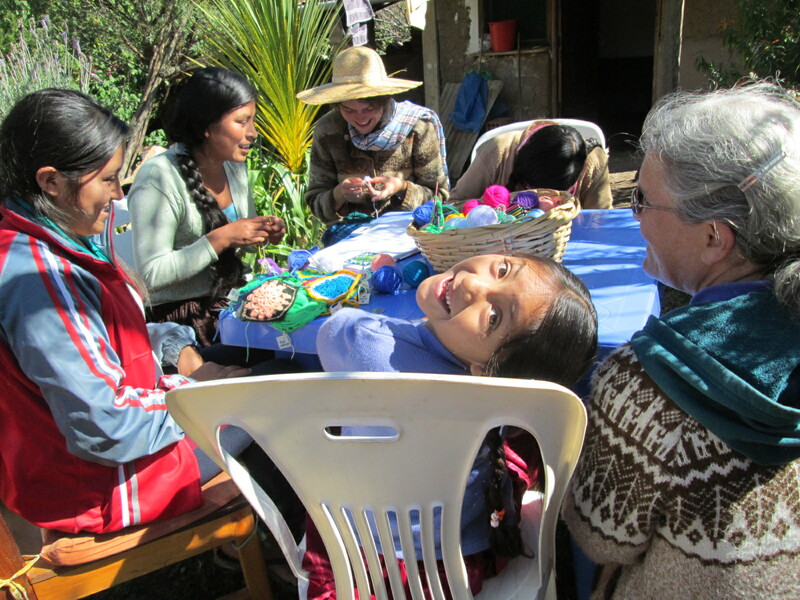 The annual meeting of the Centro de Artesanía, Huancarani (CAH) is scheduled for December 22nd. 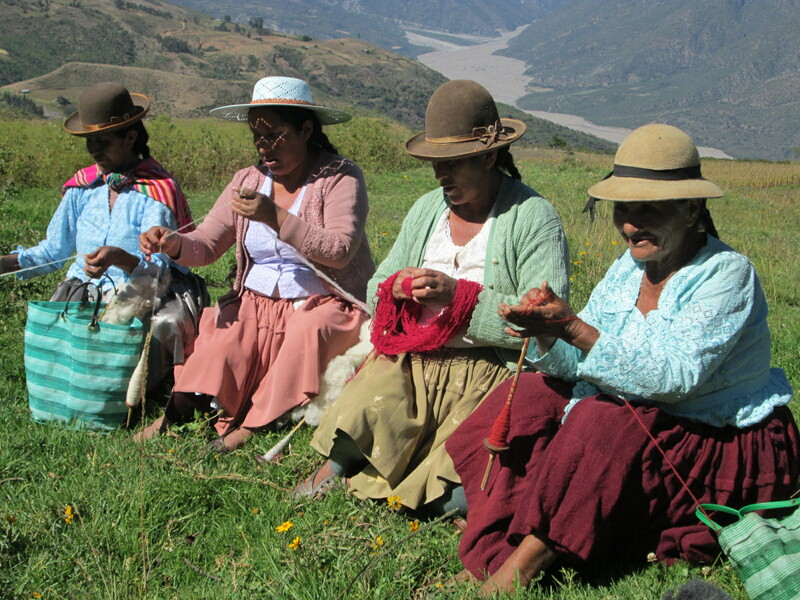 The Huancarani weavers are also planning a meeting or the Organization of Women that reorganized 2 months ago. The prizes from the 2014 Spinzilla spinning week will be awarded, all participants win something. 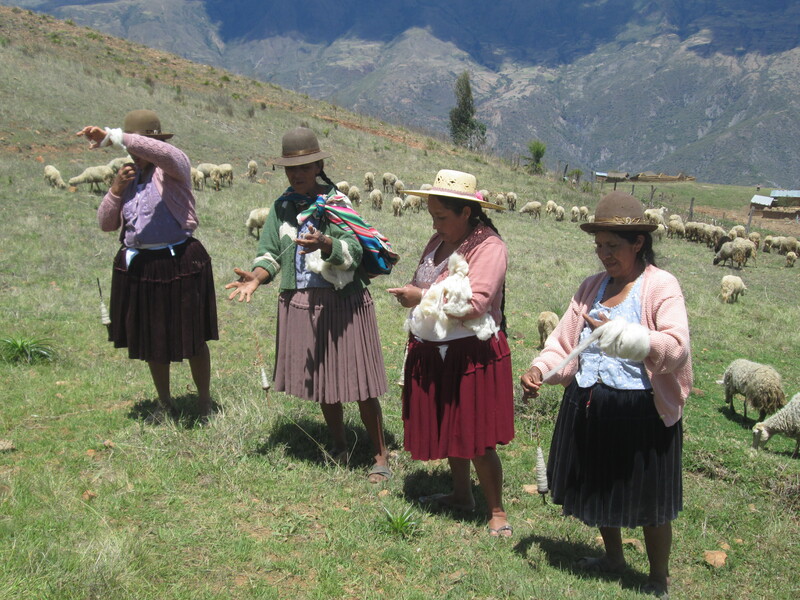 We all have much to be thankful for because both the CAH and the Organization of Women ceased to be in January due to social conflict in the community. It is a good feeling to look towards a new year of possibilities and promise. We´re off to a rosy start for 2015 thanks to our long-term supporters Irene Schmoller, Lyn Lucas, Shiriin Barakzai, Dorothy Thursby-Stern, Ruraq Maki , Katie Simmons, Laverne Waddington, and Nancy Meffe. A hug and thanks to family and friends Joyce and George Dutcher, Shannon Dutcher, Karen Krieger, Laura Dutcher, Marian Leishman Marianne Jakobs, Joe Stevens, Selina Petschek, Debora Petschek, and Alison Walsh. volunteer who saw Noemi Chavez through her medical technician studies and certification process. The family of Joel Cachi sends holiday greetings and sincere thanks for the support for Joel´s medical evaluation to George and Joyce Dutcher, Sherry Yeakel, Jenny Heard, Dorothy Thursby-Stern, Susan Strauss, and Ruth Scharf. We are still trying to raise the last $400 needed for Joel´s medical evaluation to determine if he needs further surgery or is ready to head to kindergarten a healthy boy in February.